Hey, podcast listeners! I am pleased to share the latest edition of my podcast Sound and Fury. Episode 20 -- that's right, we made it twenty! -- features our pal, actress Tamlyn Tomita, who you may know from movies like The Karate Kid Part II, The Joy Luck Club and a long resume of other great film and TV credits. As a longtime fan of her and her work, you don't know how excited I was about this conversation. As always, thank you to all the regular listeners of Sound and Fury. To catch up on previous episodes, check out the archive. To stay up-to-date with future episodes as soon as they drop, be sure to subscribe. You can also find Sound and Fury on services like iTunes and Stitcher, where you can rate and review the show. 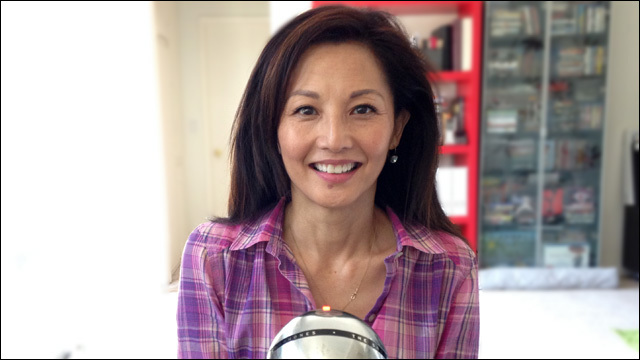 In episode twenty, I talk to actress Tamlyn Tomita about how a girl from the Valley got plucked to be Asian America's sweetheart, keeping it real with community, and embracing the enduring popularity of her most iconic roles. For a list of Tamlyn's credits, refer to her IMDb profile. See Jane Lui, Tamlyn Tomita and friends get down and get goofy to this totally dope mashup cover of Janet Jackson's "All For You/Together Again/Escapade." Watch the trailer for Awesome Asian Bad Guys, starring Tamlyn Tomita, along with Al Leong, Randall Park, George Cheung, Yuji Okumoto, Dante Basco and Aaron Takahashi. Super huge thank you to Tamlyn for hanging out. Special thanks to Sabzi for providing the beats. And again, thank you to everybody for listening. If you like the show, please share it and tell your friends. To stay on top of future episodes and updates, be sure to subscribe. Is that you, Constance Wu?